Leeds Young Film Festival (LYFF) is one of the United Kingdom's leading film festivals for young people and families. The 2017 iteration is set to take place from April 10th-20th, and as usual is set to feature a great deal of animation and animation related events. 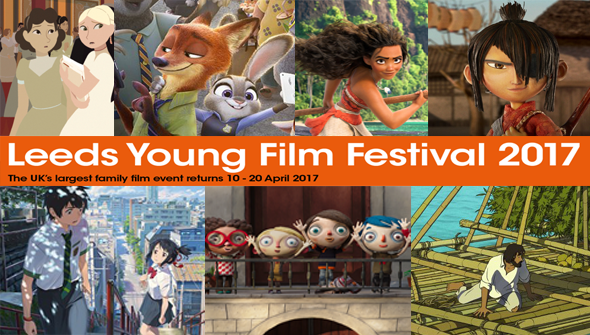 This year's festival boasts screening of all this year's Oscar-nominated animated features- Zootropolis (aka Zootopia) , Kubo and The Two Strings, My Life As A Courgette, The Red Turtle and Moana. A number of other recently released animated films will also be getting screenings including Your Name, LEGO Batman, Long Way North and Finding Dory. A number of Disney's recent remakes will also screen, with Pete's Dragon and The Jungle Book being joined by both the 2017 Beauty And The Beast and the animated original. Additionally, there will be a number of animation themed events for families including workshops and more. More details and tickets are available from the festival's website. The animation related events are below. The Gruffalo and Room On The Broom with Boomchikkaboom.